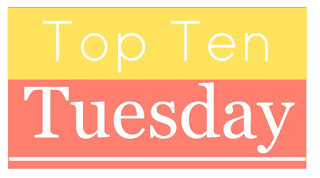 Top Ten Tuesday was created by The Broke and the Bookish, a weekly meme that now resides at That Artsy Reader Girl. The meme first came about because of a love of lists. Who doesn’t love lists? The original creators also wanted their lists to be shared with fellow book lovers and to ask that we in turn share ours with them and connect with other book bloggers. To learn more about participating, stop by their page dedicated to it and dive in! How often have you said to yourself, “OMG! Why did it take me so long to read <insert author’s name>’s books? !” For me that feels like a very frequent occurrence which is why I love today’s topic – and why I’m also happy to be making another one of these lists, this time for 2018. Also note that I’ve mostly featured authors who have been writing for many years, or already have several novels/short stories out, otherwise this would be a very long post! I also won’t be naming any debut authors today, because I already made that list. I’d never read Jennifer Estep before Kill the Queen, though I’ve often seen her name spoken of highly among readers in urban fantasy and paranormal romance circles. As a result, I’d long been curious about her work, so when I first learned that she was venturing into epic fantasy with a new book described as a royal revenge story about a female gladiator, I was instantly intrigued. While trope-laden and not terribly original, I think it says a lot about Estep that she was able to carry the story using the strength of her writing skills alone. If her goal was to write a highly accessible and entertaining high fantasy, I would say she succeeded. At the end of the day, Kill the Queen was a surprisingly good read, despite the story’s overall predictability and heavy reliance on well-worn tropes. For those of us who do not mind something a little lighter and fluffier—or just want to kick back with something fun—this will do the trick nicely, and the series has plenty of potential to grow over time. I look forward to reading the next book. Talk about being late to the party. 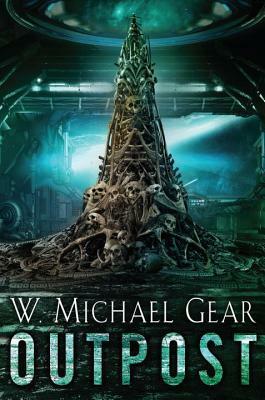 W. Michael Gear has been a name in science fiction for a while, though I only read him for the first time in late 2018 with Outpost, the first book in his Donovan trilogy that took me completely by surprise. By the time I finished, I already had the sequel in hand and ready to go, so for once, I wasted no time in diving into Abandoned. Very few authors can motivate me to do that, but Gear’s storytelling is superb and his handling of the characters and the fact they are always shifting and evolving is why I enjoyed these books so much. The series is very much a human story involving the triumph of the will to survive, despite the trying circumstances. You also gotta love the politics, mystery, and even a bit of romance. There are so many places to go, people to meet, and stories to discover; there’s action and adventure, high drama mixed with intrigue and suspense, a dash of passion and heartbreak. I can’t wait to see what else the trilogy has in store for us, and I’ve since added W. Michael Gear to my list of must-read authors. I’d heard of Madeline Miller before, mostly because of her highly acclaimed The Song of Achilles, but I only read her for the first time with Circe. In this novel, Miller presents an almost memoir-like narrative about the titular character, a relatively minor goddess compared to some of the bigger, more famous names in the pantheon. I was aware that this sort of Greek myth retelling is what Madeline Miller is known for, but wow, I had no idea until I actually saw it for myself. Not only does the author bring our favorite mythological figures to life, she also takes them to newer and higher limits by exploring their hearts, minds, and voices. In the end, I believe this is why I enjoyed Circe so much. Miller transformed the character’s tale into a gorgeous work of art, giving the the goddess heart and soul. As a longtime fan of Greek mythology, I’ve been dreaming about a book like this ever since I was a kid, and while I’ve not had the pleasure of reading The Song of Achilles yet, it and everything else Miller writes in the future is now on my to-read list. 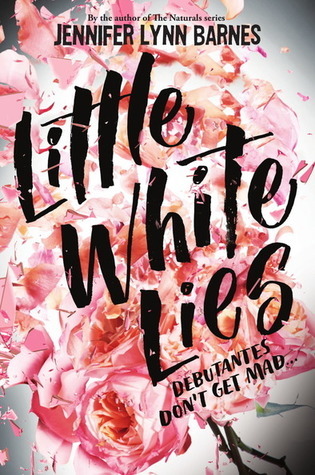 I knew when I picked up Little White Lies that it might be a little outside my wheelhouse, but what I didn’t anticipate was how much fun it was going to be. Set in the world of debutante balls and grand estates, this novel might as well be set on another planet for all I know about Southern high society, but Jennifer Lynn Barnes ushered me through this beguiling YA mystery with a certain kind of mastery and finesse I’ve found only in the most skilled of writers. This was my first novel by the author, but I knew I had found something special when within the first ten chapters, I was already thoroughly sold on her writing. She has a talent with words, which paired with a great sense of timing made it easy to become utterly absorbed in the story. Barnes was also able to create such a clear picture of the setting from the get-go, that everything else about characters and their lives just came easy. And there were a lot of names to keep track of in the book, but thankfully, characterization was fantastic, giving every individual memorable dialogue and personalities. While Jennifer Lynn Barnes might not always write in my preferred genres, I liked my first experience with her work so much, that I’m going to be following her future work regardless. Not gonna lie, Providence was weird. But it was weird in a good way, intriguing enough that I have no doubt I will be picking up more of Caroline Kepnes’ books in the future. From my first taste of her storytelling, I can already tell she’ll be full of surprises. Providence was like that, and not least because of its strong connection to H.P. Lovecraft and his works. Not being familiar with Lovecraft’s The Dunwich Horror at all, I can’t say for sure how much it inspired this story or whether Kepnes intended Providence to be a retelling of sorts, but it is referenced time and time again and becomes important to the main characters. It is also a very tough book to categorize, and as such, it probably won’t be for everyone, but for those who enjoy singular and unusual stories, this is one definitely fits the bill. 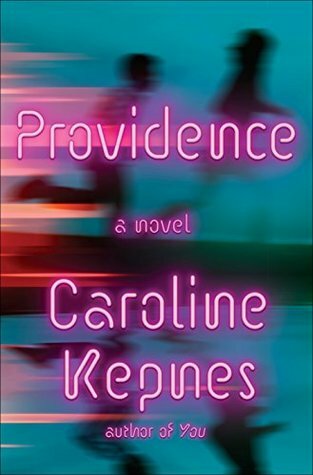 I might not always be in the mood for something so offbeat and different, but hey, if I’m ever up for something completely unique and outside the box, I know Caroline Kepnes is an author whose work I can turn to. 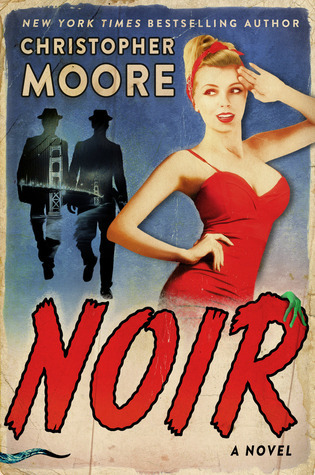 Speaking of offbeat and different, Noir was my first experience with the writing of humorist Christopher Moore, and I was not disappointed. In fact, even days after I finished reading the book, I still caught myself chuckling at the memory of some of the wild and whacky things that happened in it. Although I’m unable to comment on the way this novel compares with the author’s other work (I’ve come across some reviews from longtime fans that mention that it feels different), l can nonetheless understand why many readers find his stories entertaining. Part satire and part homage, Noir feels like a zany, breathless love letter to the genre for which it is named. This kind of tongue-in-cheek style is apparently is something of a specialty for Moore. Certain elements are done in an over-the-top way to emphasize or poke fun at some of the genre’s more distinctive features, so that rather than dark and tense, the atmosphere has been replaced by an eccentric, madcap energy that pervades the whole book. At the end of the day, I suppose what really matters is that I enjoyed it. Humor being such a subjective beast, I wasn’t sure if my tastes would mesh well with Christopher Moore’s style, but it appears I no longer have to be concerned on that front. If it means getting more of the same laughs and cleverness I found in Noir, I’m definitely on board to read more of his stuff. 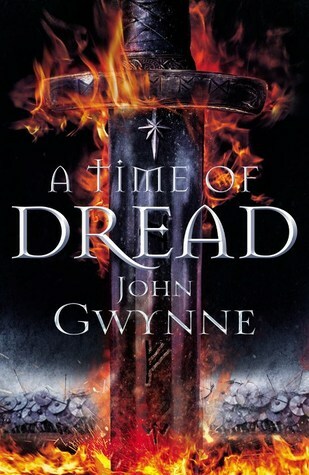 A Time of Dread was my first time reading John Gwynne, and yup, he is the real deal, folks. Now I wish I had jumped on board his Faithful and the Fallen series when I had the chance. However, I am glad I was able to read the start his new trilogy called Of Blood and Bone. Set in the same world as Gwynne’s previous series, this novel takes place approximately 120 years after Wrath, its concluding volume. It may seem like a lot to take in, but the novel starts off at measured pace and introduces each element of the world gradually, filling in its rich history and the characters’ backgrounds. This narrative steadily broadens as we move from within the confines of fortresses into the wider spheres beyond, focusing on the big picture and the roles our main characters play within this framework. Some of them are linked almost right away, while others lie in wait until the time comes for their involvement in the story’s overall conflict. Each had something useful to bring to the table, not to mention different reasons to cheer for them, and together they gave the narrative an eclectic assortment of personalities and viewpoints, keeping things interesting and leaving me eager to continue the saga. 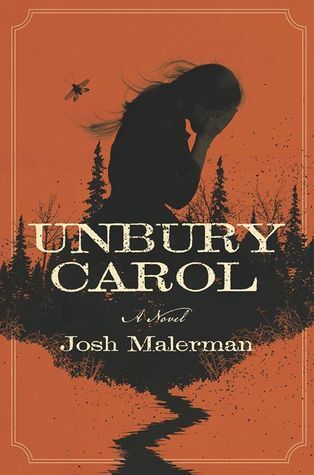 In truth, had I been in a better mood for Unbury Carol, I might have liked it even more, but I had a hard time finding my footing when it came to the intro of the book, and I think its peculiar mix of genre elements might have been a contributing factor. With Josh Malerman at the helm, I think I might have also expected a bit more horror from my first venture into his work. Instead, what we get is more of a mix of dark fantasy combined with the supernatural, set in a vaguely historical context reminiscent of the Old West. “Weird Western meets a twisted fairytale retelling” is perhaps the best description I can think of, though that is also grossly simplifying the novel. Still, while the story might have taken its time getting off the ground, sticking with it was an investment that paid off in the end. I also saw nothing that would put me off from reading more of Josh Malerman’s work, and in fact, I already have his next novel Inspection on my to-read list, as well as several from his backlist, like Black Mad Wheel and Bird Box. I still can’t believe it’s taken me this long to read Tamora Pierce. 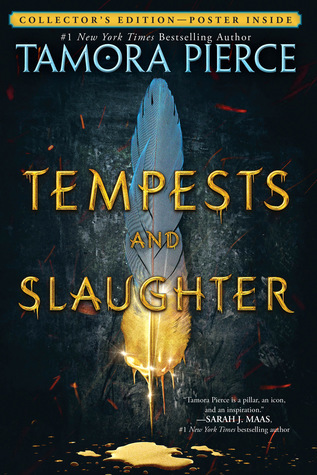 Tempest and Slaughter was my first book by her, and I loved it. The story follows protagonist Arram Draper, a gifted 10-year-old mage whose power rivals even that of students almost twice his age at the prestigious Imperial University of Carthak. What’s interesting is that this little boy eventually grows up to become the powerful mage known as Numair Salmalín, a character who features prominently in a lot of Tamora Pierce’s books set in the Tortall universe. But in Tempest and Slaughter, he is still just a child, and the series is supposed to chronicle his early life. I’ll be honest here; not much really happens by the end of this book, but I think the author’s powerful character study of Arram and the intimacy of his tale will go a long way in making up for that lack of story progression. Throughout it all, I never lost interest. If anything, my curiosity about the book’s world has only grown, and I find myself wanting to read more of Pierce’s work, even contemplating taking a look at her other series set in the Tortall universe while waiting for the sequel. As I had never read Raymond E. Feist before picking up King of Ashes, I went in with a completely blank slate and no pre-conceived notions of the author or the novel. What followed was a satisfying read, though at times, it felt to me that over the years, the fantasy genre has moved on from a lot of the ideas featured in this story. In fact, I found that Feist could be downright frank in his writing style, cutting straight to the matter while leaving no room for subtlety. Everything is spelled out for the reader when it comes to his characters’ thoughts and motivations, and there is little finesse or attempt to show instead rather than tell. To be fair, this isn’t always bad; the writing is reminiscent of what I would call a classic or old-school style, in that it is very straightforward and easy to read, and there’s a strong sense that what you see is what you get. Nevertheless, I think it’s perfect for anyone seeking a fun traditional epic fantasy, or that nostalgic feel. Despite all the well-worn tropes, I enjoyed myself. 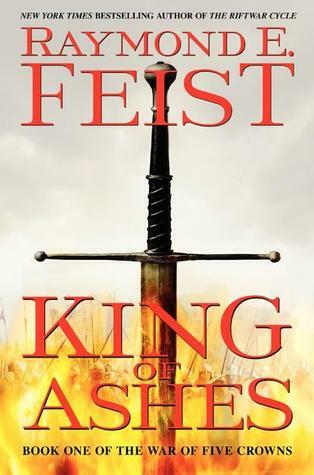 King of Ashes managed to set the stage marvelously for more to come, and I’m curious to see where Raymond E. Feist will take things in the sequel. I’m sort of intrigued by Outpost and added it to my wishlist last year. I’m not sure if I’ll get to it this year though. Yeah, thanks to Tammy and Barb’s reviews, I put it onto my list posthaste. So glad I did! Oh nice list! I also read Caroline Kepnes for the first time last year too! Read some of Moore’s books several years ago, Estep I also tried out some odd years ago but really really enjoyed her new series! Still gotta try out her YA one! Great picks here, I hope you found new favorites last year! Yay, so cool to see how we both included Kepnes on our lists. I saw that you had read YOU though, that’s the one I’d love to check out now, after reading Providence! I’ve actually read a lot of Christopher Moore and love him even though it’s been a while. I still need to pick up Noir and you should definitely consider A Dirty Job. So glad to see Outpost here and Providence made my list as well. I absolutely loved that movie. You had quite a great reading year! Great list, there are a few authors I’d love to get to on your list, like Caroline Kepnes and Jennifer Estep. I’ll admit I tried Tamora Pierce and I just didn’t get the attraction. I feel like her books are a little too young for me. I don’t know enough about Tamora Pierce, but is she predominantly a YA writer? I guess I could see the writing skewing young, especially since Tempest and Slaughter followed the character from when he was a little boy. I got Estep’s book for Christmas and I’m so excited to read it! I definitely recommend *everything* Pierce has ever written, especially her Alanna quartet. I still need to read Gwynne, too. I am so behind and know I’m going to love him, but I just haven’t gotten there, yet. I really enjoy Jennifer Estep novels. Loved the Black blade trilogy! Yeah, I’m going to looking into her past series! Thanks for the rec! Yup, a variety of cool covers here! I haven’t read any of these authors but I really like the cover of A Time of Dread, I will have to check it out! Great topic! I’ve only read Madeline Miller (also for the first time last year) and Christopher Moore. You also read Circe, right? It was such a great book! Yeah, I’m really looking forward to A Time of Blood! Yeah, I don’t know why it took me so long to read either of them! 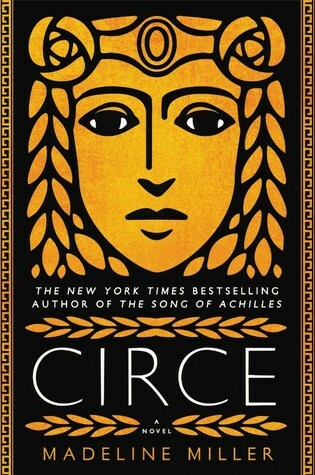 Circe sounds fabulous, and as a fan of mythology I definitely want to read that one and see what all the raves are about! 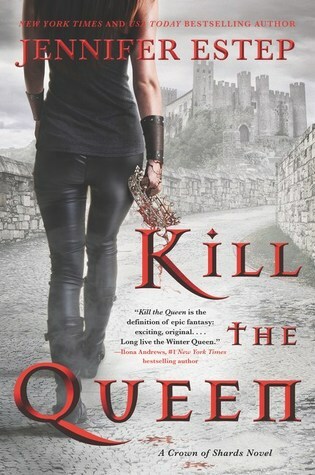 Jennifer Estep is another author I’ve been thinking of trying, and Kill The Queen does looks kinda good. 😀 Two of my fav authors on your list: Caroline Kepnes and Tamora Pierce!! Hope you try “You”. That’s Kepnes’s first book. It’s good and the audio book is great! Ooh that’s exciting that you got into pierce this year! !